I’m sitting in a classroom surrounded by the rubble of a school day in coastal Colombia; candy wrappers, empty plastic water bags, and crumpled paper litter the floor. The primary students have just left, and those pelaos never fail to elevate my blood pressure with their impressive but terrifying ability to run the hallways without trampling one another. I check my watch – it’s 5:58 PM. “Two more minutes and I’ll call it,” I tell myself. My financial literacy class was supposed to start at 5:30 PM, but we’re operating on costeño time. In the past 28 – nope, make that 29 – minutes, I’ve contemplated a myriad of life decisions: what to make for dinner, whether I can summon the ganas to tackle my laundry tomorrow, whether I should quit Peace Corps and move to Medellin, and whether the colony of bug bites on my right leg is from mosquitos or – as the Peace Corps doctor claims – is indeed scabies. 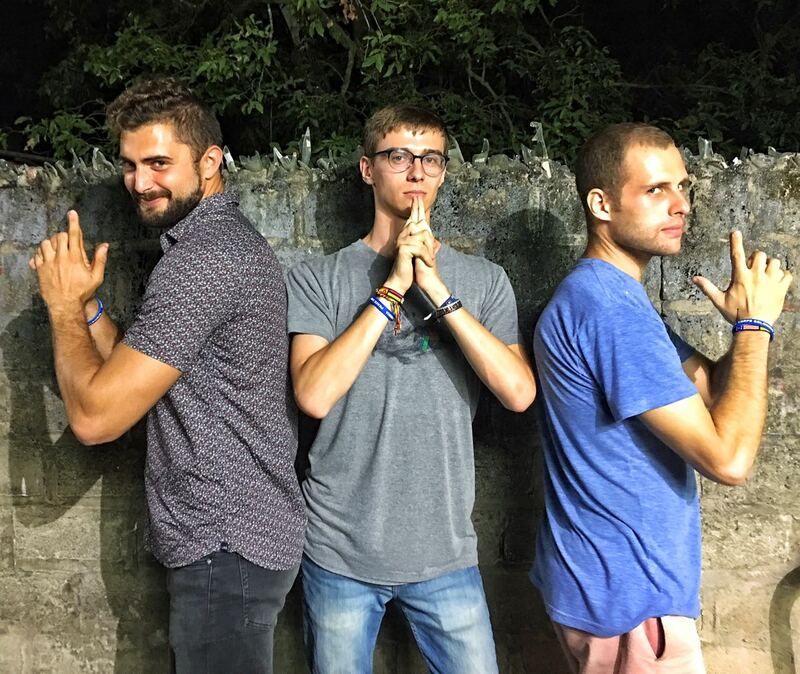 Welcome to a pretty standard journey through the subconscious of a Peace Corps Volunteer! Depending on how the rest of the day has gone, a wandering mind can take various turns. The infamous Peace Corps Cycle of Vulnerability and Adjustment graph often represents the rollercoaster of emotions I experience in just 24 hours rather than the suggested 27 months, and something as seemingly inconsequential as finding ants in my Oreos can send me careening. I’m doing pretty well today, cruising on momentum from earlier today when I discovered that my entrepreneurship club kids had successfully completed 100 market research surveys. In the 29 minutes since class was supposed to begin, only three brave souls have ventured into the room. First was the kind vigilante, the keeper of keys and remote controls, who pops in to make sure the air conditioner is turned on and the poor gringa isn’t drowning in a pool of sweat. Following shortly after was the friendly golden retriever that hangs around the school. Though a consistent attendee of my evening class, Airbud (yes, I named the dog) has displayed minimal interest in completing a wants vs. needs analysis or maintaining a personal budget. A few minutes ago, my site-mate Edie wandered in and declared triumphantly, “I cooked myself a real meal today!” I laughed, knowing that her failures in the kitchen have been the source of endless amusement for her host family. Edie and I discuss a piece of advice my cohort received during training: “throughout your Peace Corps service, you will find yourself redefining success.” Many of us who once dreamt of starting multiple Community Savings Groups are now grateful to just get through a morning without being abandoned by our classroom counterpart. On this particular Wednesday, Edie couldn’t convince her host mom to come to class, dropping my projected attendance down to a whopping three, but her three ingredient pancakes were a success. Together we opt to celebrate her small victory in lieu of dwelling on my failure. Redefining success prompts a new outlook towards failure. Just two months ago, I was disappointed when only 8 people showed up to my first financial literacy class. Since then, 4 have stopped coming and I would hesitate to call my class successful by any definition of the word. However, this experience has helped me adopt a new attitude toward failure, which involves laughing, sending a few frustrated texts in search of company for my misery, and moving on. Like a frozen fishbowl margarita, failure is less dangerous and more fun when you share it with someone! A fellow volunteer recently recommended a TED Talk by entrepreneur Leticia Gasca, in which she challenges the way we think about failure and encourages “failing mindfully.” Though Gasca focuses on failure in the business world, the idea of opening ourselves up to examine and reflect on our failures as opportunities for growth resonates strongly with our Peace Corps service. The best part about serving in Colombia alongside nearly 100 other volunteers is the knowledge that you’re not riding the Peace Corps rollercoaster alone. We’ve been bestowed with government-issued friends who celebrate our successes, big and small, and join us in laughing at our failures until they don’t seem quite so awful. I’m lucky to have Edie to keep me company while I sit and face my failures head on in an otherwise empty classroom. Over WhatsApp, fellow volunteers and I muse about whether it’s more of a failure to have a community class which no one attends or to not start a class at all. There’s even a group chat dedicated to negativity, where we complain about everything from stomach problems, creepy costeño men, and rain on laundry day. Whether virtually or in real life, sharing our struggles and failures brings us closer, helps us learn from each other’s mistakes, and reminds us that we’re not the only ones living under a cloud of existential dread. At 6:12 PM, a student finally walks into the classroom. Zoraida is the treasurer for an agricultural association in a farming community about 20 minutes away and apologizes profusely for her tardiness. I check my watch, surprised to discover that my self-imposed deadline for canceling class passed twelve minutes ago. Despite my instinct to lean into this failure and tell Zoraida that I’m postponing this class until next week, the time I’ve spent chatting with Edie psychoanalyzing our attitude towards failure has inspired me. Instead, I spend the next hour chatting with Zoraida about her life, family, and the association, and even float the idea of a Community Savings Group. Though I didn’t get to teach the material I’d prepared and was disappointed that most of my students didn’t show up, today’s class is one of many almost-failures that I’ve grown to accept over the course of the past year. As I approach the halfway mark of my service, I’m acutely aware of the number of canceled classes, awkward meetings, and foiled plans that have forced me to become comfortable with vulnerability and failure. When I share my struggles with friends, I find myself able to identify silver linings in otherwise discouraging situations and feel encouraged to keep on going. And when all is said and done, even if no one shows up for class next week, I can always count on my furry friend, Airbud!